The stark natural beauty and remnants of ancient civilisations have attracted visitors to Greece for centuries. Its pretty islands cast like precious stones across the Aegean Sea, together with the Greeks’ unsurpassed joie de vivre, combine to make Greece a truly unique destination with everlasting appeal. 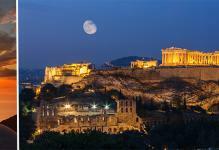 In Athens see such classical ruins as the Parthenon and Acropolis. 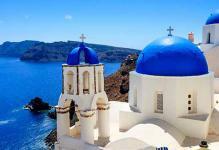 The Greek Isles beckon with Santorini and its violent volcanic history including the enormous volcanic eruption in 1450 BC, said to have destroyed legendary Atlantis. From Mykonos’ narrow streets, whitewashed houses, churches and a raging nightlife to Crete's high mountains, long sandy beaches and fertile valleys, home to Europe's first advanced civilisation, the Minoans, not to mention Rhodes with a virtual treasure trove of art and history.